Fall - and October, especially - is a special time in California’s wine country. From the crisp autumn air to the leaves speckling the hill in their changing colors, there is something magical about watching this season come to life in the vineyards. But the height of the magic is at Halloween - the spooky holiday that brings fun to both children and adults alike. Here are a few of our favorite festive events happening around town this weekend. Throwing arguably one of Sonoma County’s best Halloween parties, Roth Estate is back with their Spook-tacular event - and it’s bigger and better than ever before. The annual costume party brings out a little creativity and a lot of competitiveness in attendees, as they battle for epic prizes throughout the night. DJ Dennis Anderson will be playing some great tunes to “raise spirits” and there will be finger foods to ”satiate a blood-thirsty hunger “ - plus, of course, great Roth wines! Tickets are still available so be sure to grab one...if you dare! The Petaluma Downtown Association hosts this year's Downtown Petaluma's Trick or Treat Trail, inviting little goblins (and their parents!) to hit downtown collecting their treats. 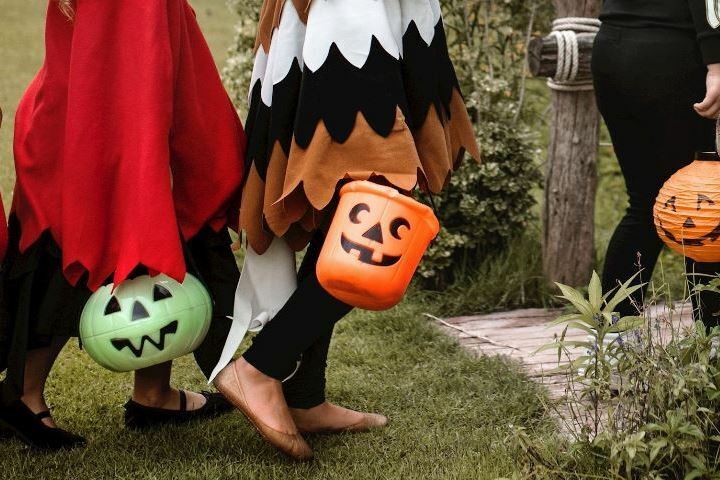 Children will receive a Trick or Treat Trail Map that will help navigate them to businesses throughout the area that will be giving out candy. This two-day, upscale celebration of all things Halloween is not to be missed if you're on the Central Coast. Due to popularity, the party has moved to a bigger space at the California Mid-State Fairgrounds and is ready to bring the Halloween spirit in full force. Guests can expect interactive props, out-of-this-world sound & visual FX, a great food & drink spread, and so much more. Don't forget your costume - it's mandatory! This is a 21+ event and tickets can be purchased online or at the door. The City of Carmel-by-the-Sea was incorporated on Halloween in 1916, so it celebrates its birthday and the country's favorite costume-and-candy holiday with a Halloween Parade! Guests of all ages are invited to particpate (or spectate!) in the parade, begins at 11AM and goes through the downtown area. Following the parade, at Sunset Center is a hot-dog lunch with all the fixin's - plus chili, chips, drink, ice cream, and birthday cake! - will take place. City dignitaries, VIPs, costumed dogs and kids, and residents and visitors alike gather for this upbeat annual affair! The Day of the Dead (El Día de los Muertos in Spanish) is a Mexican and Mexican-American celebration which falls on November 1st and 2nd. Partake in the festivities with a classic street festival being held in Downtown Walla Walla, complete with free activities, music, dance, and theater. Guests of all ages are invited to come down to experience the culture and festivities associated with this great holiday!